We are pleased to share the following testimonials regarding our customer service. I was very grateful for the service that you provided me with today. You were honest about what was going on with my water heater and provided me with information about it that I was clueless about. You took the time out of your day to stop by and check out the water heater instead of just trying to get money from me and installing a new one, safe to say I was very impressed. A company that is very trustworthy! You have received a customer for life from me and my family. Thank you for all of your help! Just had my garbage disposal done in about fifteen minutes for under three hundred bucks. Matt was fast and friendly. They also gave me a good quote for a water heater. Would recommend. HONEST and reasonably-priced! Thank you! Thank you so much for sending a plumber out today. We had scheduled it for tomorrow but, you were able to get to my problem today instead. The plumber was very informative, quick to solve the problem and friendly too. He also had great things to say about you as the owner of the company! I am very pleased with the work he did and will definitely use your company again. The best thing about your company is no travel fee! The quote for repair was very reasonable and the coupon I used from your website saved me $30 off. I will definitely tell others about your company and the great employees you have working for you. Mike, A huge thanks to you and your team for fixing our tub drain. You had a someone to our house a week sooner than anyone else I called in the area and they were able to resolve our issue in less than 30 minutes. On top of that, you were able to give us the best price by far. Thanks to Matt for swinging back by and looking at our drain again when I saw something leaking that was not even caused by the work you did - but you fixed it anyway. Quick, honest plumbers are hard to find. I'm so glad you guys are here in Eagan as I will be calling you back in to do some other projects we want to accomplish this Summer. I called up Mike about a water softener problem and also a leaking valve on the main water line. We discussed various fixes and he said it would depend a bit on what the tech found. John was here today, had all the info I had shared with Mike, and came up with solutions for both problems. He also recommended an additional ball valve replacement and why it was a good idea. I agreed with him and he did that as well. A hearty well done --will definitely use again! Hessian Plumbing is a first class operation. I'm working on finishing a basement down in Lakeville and was looking for a plumber to complete the plumbing for my bath. The owner Mike fielded my call and was extremely thorough in explaining what needed to be done, and was able to schedule me in quickly to complete the work. The gentlemen he sent out to do the install, Matt, was a true professional. Extremely courteous and very thorough. Matt ran the water lines, hooked up the shower setup, set the base for the shower, and vented the drainpipes. Matt even knew quite a few things about the city code that I would have easily missed. The work was spectacular and Hessian truly exceeded my expectations in every way! I wanted to take a moment and thank you and your company for OUTSTANDING customer service. You guys definitely went above and beyond and have earned a life-long customer. Thanks! Mike—thanks so much for your help in getting the replacement sprayer ordered and installled! I told John that if in future it goes bad again, I will be calling Hessian to replace the whole faucet. After having had you install my water heater in 2015, and now this, Hessian is my plumber of choice! Couldn't get the lock nut off for the fill valve I had just bought. Mike the owner had a tech out pronto. Matt the tech was able to get the lock nut off and changed out the fill valve quickly. Very impressed with Mike the owners quick response and helping me out. Would use them again. Very quickly came out to the house, exactly on time, did the job very quickly, cleanly, and charged exactly what was quoted. Certainly use them again. I called you yesterday saying I wanted to cry, because I was so happy with your services. I received same day service, all my problems were taken care of and the price was reasonable. John was knowledgeable and so kind. He even gave me a coupon. With this kind of efficient service, I will be singing your company's praises to all my friends and relatives. Thank you so much. Have had Mike and his crew make several different repairs in our home. Each time the service was exceptional and the bill far less than what I had worried it might be. I also appreciate the way they answer questions without giving a sales pitch. Very experienced and professional crew. I consulted Hessian Plumbing based on neighbor recommendations for a plumber and found their expertise and rates to be excellent. Will definitely use for future projects. 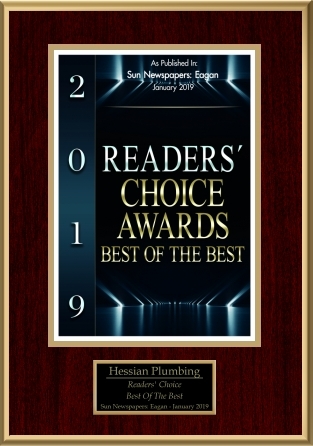 Hessian Plumbing has made several repairs in my home and business over the past seventeen years, such as: replacing water heaters, water softeners, sump pumps, clearing drains and installing new services. Their workers and fast and efficient, pricing is competitive and the attention to detail is impeccable. They are my first and only choice for my plumbing needs. I called Mike at Hessian Plumbing as soon as I realized I had a plumbing issue. Mike returned my call promptly and spent a great deal of time discussing my issue and brainstorming a solution even before sending Matt to my home the very same day. When Matt arrived, he was courteous, informational and conscious of not wasting any time. What stood out to me, was that Hessian Plumbing is a local, family owned business, and Mike (the owner) gives out his direct number so when you call, in a panic as most of us do, he was the one to receive the message and contact me directly. On top of that, he obviously has very competent people working for him, such as Matt, who gives you no doubt that he knows what he is doing. I will definitely use Hessian plumbing in the future and would be willing to talk to anyone who may want customer feedback before choosing them for their own plumbing needs. Well done! Just wanted to let you all know how impressed we were with your service. From the minute I talked to Mike around 9am the wheels were rolling and Matt was here by about 11am and by 1:30 my old water heater was out and the new one in. We are very happy with the Rheem water heater as it seems to have a much faster recovery time then our old Bradford white ever did. We appreciate the great fast service at such short notice on a Friday, I had called several other places and they couldn't help us, I'm very happy Hessian plumbing was ready to do the job fast and right. Very professional service. 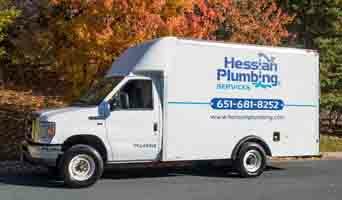 We will gladly refer anyone in need of plumbing needs to Hessian Plumbing in a heartbeat, thanks again. Hessian Plumbing Services Inc. replaced our garbage disposal. Our neighbor recommended them. They were perfect. We had them in twice for 2 different things. Their price was really good. They were the perfect people for the job. I will definitely use them again. Thanks again and we will be in contact for a new water softener. I just wanted to email and let you know what an outstanding job Matt did. You guys have taken away the fear of being previously ripped off with your more than fair pricing and exceptional work. Matt was respectful of our home and very informative. We will definately be using you guys for all our plumbing needs, as well as letting our friends and family know to use you. I wanted to let you know how much we, the City of Eagan, appreciate your ability and willingness to respond quickly to our request. Getting water service back for our residents on Deerridge Ct. today was possible because of the fast effective work of Shane. Thank you for your assistance. Installed a Waste King 1HP garbage disposal. I called Mike after I gave up installing the GD. The instructions didn't make sense to me... Mike sent someone first thing the next morning and got the job done in minutes. We will call them when we redo the master bath. We were having new flooring put in the bathroom and the workmen discovered a broken valve when they tried to pull the toilet. Hessian fixed the valve and returned later to replace the toilet. Mike from Hessian sent a plumber within hours, even though it was bitter cold outside and plumbers were busy with frozen pipe calls. Another plumber returned Friday to put the toilet back in. Both plumbers were personable, professional, and quick. Hessian doesn't charge any trip fees. I thought the charge was reasonable and the service was excellent. I will use them for any future plumbing issues. Call was returned within 2 hours. Disposal installed 2 days later. Great response time. Plumber made sure it worked and cleaned up the work area. I have used Hessian Plumbing for over 20 years in 3 different houses for everything from fixing very old plumbing to putting in all new fixtures, water softener, water heater and disposals. Mike has been a superstar in my book of best resources ever, and Shane has been exceptional in his work – perfection always. I’d be happy to tell you first hand of the service and attention to detail because every single repair and install has been perfect. They have even given me free advice when I needed to trouble-shoot a fixture problem. I would highly recommend Hessian Plumbing. Gave me great advice on why our dishwasher was leaking. I gave him a description of the problem over the phone, and he was able to tell me that it was a parts issue, not a plumbing problem. Very helpful and friendly even though he knew he wouldn't be making any money on a service call. If I ever do have any plumbing problems, I will be calling Hessian Plumbing. They can be trusted. We had them replace our sump pump with new one that had a battery backup. Excellent. The pump was delivered the day before and Shaun picked up the battery and brought it with him. He had pump installed in 30 minutes. I called Hessian Plumbing and spoke with Mike, the owner. I explained that I had a shutoff valve to the clothes washer that was leaking and also had a slow moving drain in the bathroom sink. I noted that neither were a major issue and did not require immediate attention. He stated that he had a plumber with an opening that same afternoon (Wednesday) and he sent him out. Shane arrived within an hour and promptly repaired the leaking shutoff valve. He then began to disconnect the trap under the bathroom sink so he could snake out the drain. He found that the threads on the cast iron pipe leading into the wall were stripped and he needed to purchase a new sleeve to repair the pipe. Since he had other appointments cheduled later that afternoon he was unable to stay and complete the repair. He called Mike to see when he could schedule a follow up visit and we agreed on Friday afternoon. Shane stopped by the house on Thursday, one day earlier than scheduled, as he had extra time in his schedule before his next appointment. He cut off a section off the old pipe and made the repair. He proceeded to snake out the drain, reinstall the trap and test the drain. Unfortunately, the drain backed up and he mentioned that I may need to call out a drain service for the main drain. I requested that he snake out the drain one more time as the snake may have come up short of the main drain. He agreed and sure enough, that resolved the issue. Drain runs great! Quality is not relative - either it is there or it is not. Hessian Plumbing has consistently delivered quality work. Thank you. I received excellent service from the first phone call through the installation process. The entire process was well coordinated from the on-time arrival of the plumber to the drop off of the new hot water heater and water softener. It was impressive to see how well-timed each phase of the project was handled and there was no time wasted. There were no problems and Shane explained the operation of the new equipment in detail. I'm very happy with the work that was done. I'm also happy to say that the total cost of the project matched the estimate so there were no surprises. I will definitely use this company again and have already recommended them to several friends. We called you this morning about a leaking feed valve to a toilet in our house. Shane was the service person that came to take care of the issue for us. He was right on time, looked at the issue that we reported to him, and took care of the issue in a very efficient manner. We have not had a need for plumbing services in this house up until now, but I will tell you right now that we will recommend your company and we will call you again in the future. We have an eventual need to replace or reseat a toilet in our lower level and will contact you when we are ready for that service. Again thank you for the great service, it appears that your company understands the value of service with your customers. I want to personally thank you for you and your teams help with the installation of our new water softener. Not only did you install the new and remove the old water softener but you helped trouble shoot resolve an issue that we experienced with the new softener. This was probably an issue that doesn't occur very often but I was very pleased with you and your teams diligent effort to resolve the issue. Best thing for me is I know that I have a plumbing company that I can go to and get the job done right. For the second year in a row, Hessian Plumbing Services has earned the Super Service Award from Angie's List. The award reflects consistent high levels of customer service. Check our reviews at AngiesList.com. View 2012 Press Release. Noticed the leak on Friday. Called and left a message on Saturday. Returned our call on Monday and was out Tuesday morning to do the work. Took about 3 hours, but the results were fantastic. Matt was friendly,professional, and responsive. Definitely the one I'll call if I need a plumber again. Called to get a gas dryer hooked up properly. They were able to schedule me in right away. Price was much better than other quotes I got. Professional, thorough, all good. Will use them again and no issues referring to others. It's like a small one man shop, but we liked him. He came exactly on time and he did exactly what he said with no surprises. He's a very pleasant man and we will definitely call him again in a heartbeat. I noticed leaking under my sink and noticed it was coming through the garbage disposal. I checked Angie's list for a recommendation. I read several favorable reviews about Hessian Plumbing. I called and left a message for the owner Mike. Mike called back the same day I explained the problem he said he could send someone out the next morning. I had a early appointment at 7:00 am. Matt the plumber was at my home promptly at 7:00am. He looked at the garbage disposal and could see it was where the leak was coming from and informed me it did need to be replaced. He replaced the garbage disposal and all is well. Matt was prompt,professional and friendly. I have plans for future plumbing changes I will be sure to call Hessian Plumbing again. I also recommend them to anyone in need of plumbing services. I think their price is also very reasonable. Just a quick note. Thanks for taking our call and sending over Shane to work on our shower this morning. Came over quickly and got the job done. Shane is a good guy, explaining to us what was going on. We bought the Delta kit needed and he installed the stuff. Great job. Thanks again. And thanks for offering the military discount; it is an honorable offer. You and the company are on our recommend list. Happy Thanksgiving! Moved into a home that never had a garbage disposal, so I needed to have both a disposal, as well as new pipe connnections installed. After calling Ben Franklin, and having a man come out and give a ridiculous estimate, I called Mike at Hessian Plumbing in Eagan. Not only was he able to fit me in on the same day, but he sent Matt out, and within 40 minutes, Matt not only had the unit installed, but new pipe connections attached. He was pleasent, explained what he did, and was a great representative for Hessian. The price was fair, the service was wonderful, and I will use them again in a shot. Be careful, and select one of the good guys — In my book, Hessian will be at the top of that list. I shopped around for a water softener installer and they came in at the best price. They installed it in a few hours, gave me many options and even suggested a less expensive model than the others, saying the other model was overkill. He was right, the softener only has to regenerate 1-2 times per week. Over all I think they were about $300 less than the others I looked at and they saved me money by recommending the proper sized unit for my family. We actually had them do three different jobs within a week. They replaced an outdoor faucet, replaced a pipe and outdoor faucet at another residence, and repaired our water softener. The first job they did for us at our home. The plumber was right on time and it took him less than an hour to replace our outdoor faucet. The second job they did for us was at our son's house. They had to replace a pipe that was leaking in the wall and then replace the outdoor faucet. Again the plumber was right on time and very friendly. The third job was an emergency. Our water softener sprung a leak and needed to be fixed. They were able to get to it the day I called and got it done quickly. Just wanted to thank you for the fantastic service you just provided us. Bruce and I really appreciate the fast response, perfect install, unbeatable price and just all around great service (as usual). Your company is always the first we think of for plumbing needs and will continue to be. Shane from Hessian Plumbing showed up promptly at 7:00 for a dishwater installation. Our countertop was not level making this one a pain to install. He not only took out a floor board the previous owners had, but he put shims under the counter so the dishwasher could fit. (Needless to say a kitchen remodel is next on our list). It was a miracle he got it to fit. He went way above and beyond just a dishwasher install. We were also missing a cord that he had on hand and didn't charge us. He also honored a $20.00 coupon they had on their website. They were by far the most reasonably price and we are thrilled at their service and professionalism. I will definitely call them for our next project. I just wanted to sincerely thank you for such a clean, quality install of our new water heater. Also, thank you for increasing our water pressure. I have always believed it was low, but thought we had to live with it. Your adjustment has already made showering and other faucet use light years better!! Hessian is the only company I will call for our future plumbing needs. On Thursday morning I stepped into an ice cold shower. The water heater had died. I searched Angies list and found Mike and Hessian plumbing. In less than 24 hours my wife and I had hot water again!! The technician arrived on time, layed down drop cloths and promptly started work. He was courteous, patient with my questions, and very professional. In no time at all the heater was up and running, and there wasn't a speck of dirt or debris left behind. I am extremely pleased with Mike, his staff, and the entire experience!! JOB WELL DONE!!! Thank you!! Excellent experience. They gave a bid, won the job, showed up on time, did the work and the final bill is what was advertised. I emailed them several times to get clarification on a number of aspects of the job before awarding them the job and, even though it was not a big job, they patiently answered all my questions. The field service technician was courteous and professional. Would hire them again in a heartbeat. I used Hessian Plumbing Services, at the end of January to replace the water heater that had quit working. This was my first time using Hessian Plumbing Services, and they were all right! I called Hessian Plumbing because they were referred to me by my usual plumber because I had a mystery leak going on. I took the referral because I had seen Hessian Plumbing on Angie's List recently and knew my regular plumber had referred an excellent company. 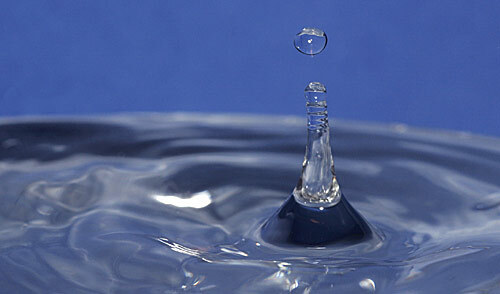 The mystery leak was water in a bedroom, with no obvious sign of how it had gotten there. Hessian Plumbing was experienced with these mysteries and they checked out every pipe, shower, and drain inside and outside that could possibly cause the issue and came up with what I believe to be the correct diagnosis. Because it turns out not to be an actual plumbing problem, Hessian recommeded the type of company I needed to call. Their rep was very professional, very thorough, and even found a hidden outdoor shut-off valve that hadn't been discovered in the ten years we'd lived in the house. I finally have an opportunity to thank you guys for your excellent service and communication. We didn't have time to enjoy our new water heater much as we are now visiting my folks for holidays. As far as I know, it appears to be a great choice for us and hope to last. Thanks to your effort and recommendation to our unique tight space situation. I'm very happy. Kids are even happier not having to wash in cold water :) Thank you. Your company will be my first choice for all my plumbings. We earned the 2011 Super Service Award from Angie's List. The award reflects consistent high levels of customer service. Check our reviews at AngiesList.com. View 2011 Press Release. We loved them and will call them back again for another plumbing service that we have. They were right on time and were extremely helpful on the phone even before they came out. He was making all sorts of suggestions for things I might try. For 22 years Hessian Plumbing has been delivering outstanding service for all our home plumbing needs. As we have an older home that needs maintenance, I am at ease knowing I can rely on Hessian Plumbing. Their timely, kind and professional service is greatly appreciated. I would highly recommend Hessian Plumbing as they will provide you with remarkable service. The technician installed a kitchen sink attaching the garbage disposer, hooking up the dishwasher and putting in all new plumbing. He was very skilled, worked fast and did a good job. He also fixed the leak in an outdoor spigot while he was here. We are very happy with the work that Hessian Plumbing does. They are friendly, reliable and their pricing is very fair. We have used them in the past and will call them anytime we have a plumbing problem. Toilet flange was replaced and toilet installed. Quick callback for initial estimate. On time for appointment and very professional.Very good experience. Would definitely use them again. The company correctly diagnosed the problem on the telephone so right away that made me feel comfortable about that he knew what he was doing and then he was able to send a guy over that day to have it fixed. I originally called at 8 a.m. and the problem was resolved by noon. The water pressure was perfect after that. He also called and followed up after the appointment to make sure I was satisfied with the service which I thought was professional. They stuck to their estimate. I will use them again. Had water draining from the side copper pipe on my water heater. Called and got a call back within 10 minutes. Someone was out within 45 minutes to check out the water heater and diagnose the problem. Water heater was repaired and is working fine now. This is a minor thing but one that drives me crazy when it's not done....the plumber even turned off the lights in the basement when he was done! Great experience. I had no hot water, it appeared my heater was not working. I checked the circuit breaker and all was good. I emailed Mike on a Sunday and he responded by email the same day. He suggested I try the "red" re-set button and told me where to find it. That was the problem! I'm so thankful he suggested this and was the consummate professional to not install a new heater when it was an easily solved problem. Excellent experience. I have used him twice: once for water heater install and another for a softener install. Very pleased with the service. Very friendly. I would definitely use again. Installed New Dishwasher and repaired leaking shut-off valve under sink. Did exactly what was promised... quickly and efficiently. Plumber was professional and polite. Response to initial call was prompt. My water heater went out on us. I called Mike and he was very helpful on the phone and described to me what the problem was and helped us get it covered under warranty. I just had to pay for labor. Excellent experience, here on time and finished on time as promised. Very pleasant to deal with.